Joseph LaViola, Daniel Keefe, Robert Zeleznik, and Daniel Acevedo. 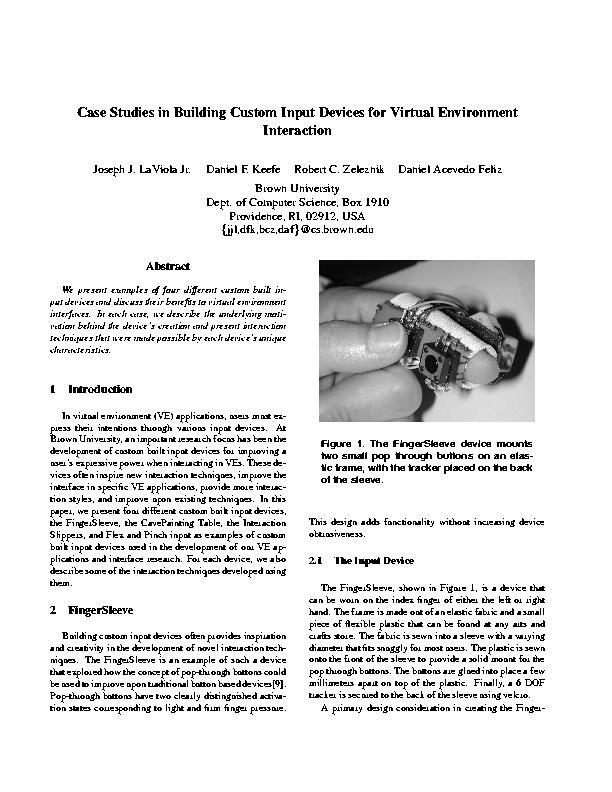 Case Studies in Building Custom Input Devices for Virtual Environment Interaction. 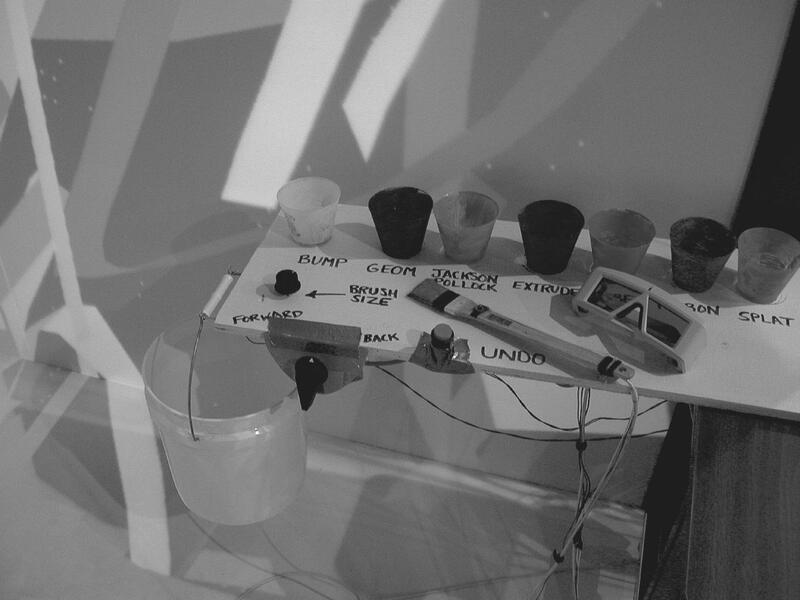 In VR 2004 Workshop: Beyond Glove and Wand Based Interaction, Chicago, IL, March 2004. (pdf) (bibtex: LaViola-2004-CSB).